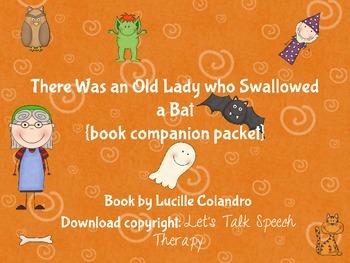 This packet is to be used in conjunction with, and not in place of, the book by Lucille Colandro. This download does not contain the actual book. 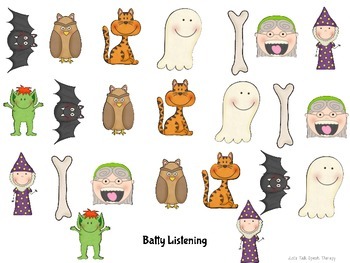 -Batty Listening (Auditory Comprehension)-Each student gets 1 mat (black ad white/color). SLP/adult reads 2 or 3 item card. Student repeats the 2 or 3 items aloud, then points to the items on the mat in the order they appeared on the card. -Synonym/Antonym Match-up: 8 pairs of both synonyms and antonyms, played in a memory-type format. -Imagine that! 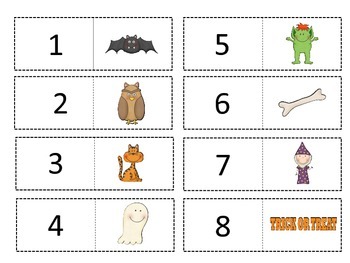 (Grammar writing) Students imagine they are Old Lady on Halloween night. Using correct grammar, students write about their experience. Be sure to stop by Let's Talk Speech Thearpy for more information!